The agenda of the City Council Meeting held on March 28, 2019 was a largely a consent calendar, a list of technical reviews; approval of an agreements with a consultant on stormwater, and an engineering firm to begin to design the long awaited landscape garden at city hall. There was also long back and forth between lawyers over the irregularities of paperwork filed for a bid to do sewer work at Mesmer and Overland. All required for the council to address, just the business of running the city. But in a major step away from tradition, the renewal of the contract for red light cameras drew almost no protest. Lt. Brown gave the report for the city staff, noting that during 2019 a Request for Proposals was published, and the city recommended staying with Redflex. 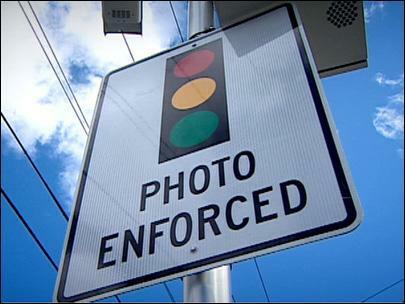 The red light camera funds are used by the CCPD to pay for staff, and a technician to support the program. The vote to renew the contract passed with five ayes. Future council meetings will have much more discussion on stormwater treatment and landscape architecture, and there may be controversy on those issues, but red cameras have become just another part of the city.